By using home /property inspections services in Lee County, you get to benefit from our experienced Coastal Home Inspectors that delivers reports which meet or exceed the state standards. We provide Lee County Home Inspection Services for single-family homes and investor properties in the greater Lee County community. At coastal home inspectors, we always suggest to our respected clients to get your home inspection and its components before buying and selling agreements. Our home inspectors are all professionally practiced and having lots of skilled in perfect home inspection services. At Coastal Home Inspectors, we are trained to be conversant with a wide variety of situations in home inspection services Lee County. Our home inspectors believe that clients have the right to expect the highest standards of thoroughness, fairness, and effectiveness of our Lee County Home Inspection Services. 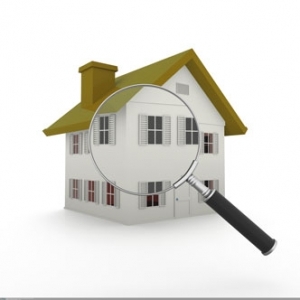 All of our home inspection reports must be authentic and stand up to critical examination. We continue to build our reputation in Lee County. Our inspectors give you the accurate home inspection at a time to ensure you get the quality service you expect from an experienced home inspector. At Coastal Home Inspectors a complete home evaluation package our home inspection reports contain major deficiencies and provides a valuable education about the home structure and its systems in Lee County. Lee County Home Inspection Services have practiced and experienced home inspectors that inspect your home from top to bottom. Lee County Home Inspection Services will accompany you through the home, answer questions and report fully consist on Structural, roof/attic, gutters/drainage, exterior finish, basement/crawl, fireplace/chimney, general summary and many other essential components.